Dr. Dampier takes the time to explain the results of your eye exam, describe your options and listen to your eye care needs. Because maintaining good eye health is an ongoing partnership, we encourage you to ask questions and share your health information, which could be vital to monitoring, diagnosing and treating potential vision problems. Arthur R. Dampier, Jr., O.D. 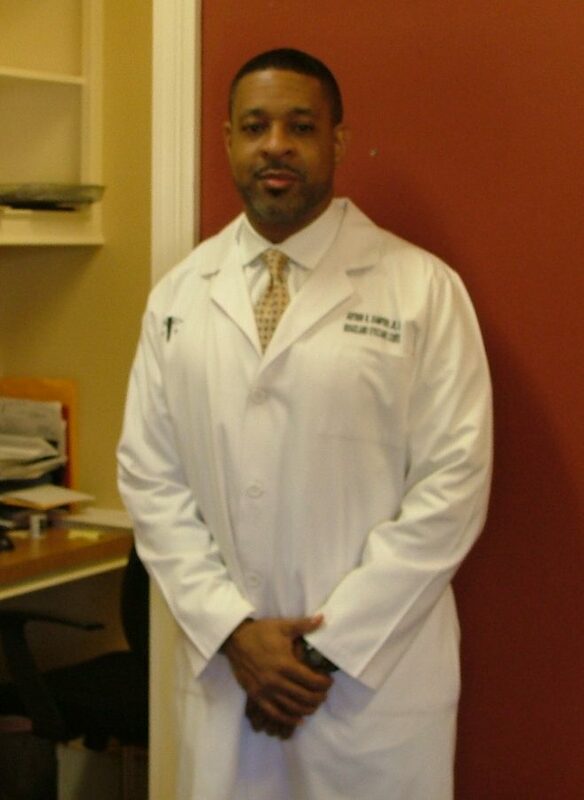 Dr. Dampier received his bachelor’s degree from Xavier University in New Orleans and his Doctor of Optometry degree from Southern College of Optometry in 1997. Dr. Dampier is president and director of Ridgeland Eye Care Center in Ridgeland Mississippi, of a private experience clinic, Ridgeland Eyecare Center, Inc. for over 3 years now. He has served the Mississippi Optometry Association as a board member and as the legislative chairman for the Southwest Central Optometric Society. He was named one of America’s Top Optometrists by the Consumer Research Council of America for 2004-2005. In 2008 he was elected secretary-treasurer of the Mississippi Optometry Association and was installed at the 2008 summer convention as president of Mississippi Optometry Association and also most recently chosen as one of the Top 40 Under 40 doctors by the Mississippi Business Journal. “Dr. Dampier has used his talents and training to help educate people about the importance of eye care and to encourage young people to consider careers in optometry,” said Dr. Steven Reed, past president of MOA. “He is a wonderful role model who cares very much about the community and about his profession.” Dr. Dampier has a lengthy record of academic and professional achievements, along with extensive community service. He devotes a significant portion of his time and attention each year to serve the eye care needs of the public. His service includes volunteer activities for Student Optometric Service to Humanity, a charitable organization operating exclusively to help provide vision care to areas of the world that lack adequate health resources. Dr. Dampier served on the board of directors for the Madison Lions Club. Dr. Dampier has also donated free eye exams through his work with the Lions Club. He is a member of 100 Black Men of America, Inc., and has been active on the Jackson chapter’s Health and Wellness Committee. Dr. Dampier has organized vision screenings and delivered talks about eye care through his service to the organization.